An adequate supply of outdoor recreational activities and facilities is an integral component to a vibrant community. Today, many people seek out and participate in a multitude of outdoor recreational activities. Outdoor recreational activities provide benefits that extend far beyond a basic walk in the park. Participating in outdoor recreational activities can stimulate people both mentally and physically, provide a means of physical conditioning, be a means for social interaction and provide opportunities for family functions. The importance of people participating in outdoor recreational activities is now evident in local communities, schools, the workplace and at home. ​FJ & G Rail Trail is a popular recreational trail utilized by walkers, runners and bicyclists near and far. 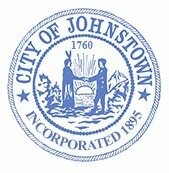 The portion that is owned and maintained by the City of Johnstown is just over 3.3 miles long. It starts at Union Avenue and ends at the northern boundary of the city at the city line. The trail continues past that point but is maintained by the City of Gloversville from that point on. The City is currently in the process of adding trail head parking at Union Avenue and another parking lot at the end of W. Montgomery Street near Frog Hollow. ​Sir William Johnson Park is located on W. Main Street in the center of the city’s downtown. This park hosts many events throughout the year due to its centralized location. It has a lovely fountain with bench seating throughout, a small covered stage which is used in the summer for Friday evening band concerts and lots of space for vendors to set up shop for any event hosted here. ​East State Street Park is located on E. State Street. Also called Partner’s Park or Lakey’s Park by locals. It features a large open space, gazebo, and a basketball court which is popular with local youth in the neighborhood. Washington Street Park is located on Washington Street near the intersection of Cayadutta and Matthew Creek. It features a large open space, gazebo and access to fishing on the Cayadutta Creek. It is also a destination spot on our FJ & G Rail Trail with easy on/off access to the trail. ​Fairgrounds Park is located off of N. Perry Street just before Townsend Avenue. It features beautiful landscaping, benches, and a gazebo. The FJ & G Rail Trail also runs through the park. Johnson Hall State Historic Site is located off Hall Avenue right here in Johnstown. Information on Johnson Hall Events and Programming can be found at the New York State Office of Parks, Recreation and Historic Preservation website or the Friends of Johnson Hall website. You can also learn about the history of Sir William Johnson and Johnson Hall by visiting “Our History“. Cayadutta Creek is a beautiful water resource which is classified as a trout stream and provides excellent fishing opportunities and locations for anglers. The Creek meanders through most of Johnstown and its existence was the primary reason the area was originally settled and also what attracted the leather and glove industries here. Previously known for all the wrong reasons, the Cayadutta was the receiving waters for all the effluent discharged by those industries located along its banks. During the 60’s and 70’s the creek became famous for its colors that varied daily due to the various effluents being discharged into it. At one point, it was labeled one of the most polluted streams in the State of New York. Through years of hard work, the Cayadutta is once again a beautiful and natural resource that has completely shed its image of a polluted stream. Neighboring creeks that tie into the Cayadutta are Hale, Matthew, and Hall Creek. These creeks also represent outstanding natural resources that can serve as vital outdoor recreational resources. All of these great resources can be accessed via the Rail Trail and/or local streets. Schriver Pond Trail is a small recreational walking/biking trail that connects Prindle Avenue to E. Green Street. This trail is a great way to access downtown if you live in Ward 2 and want to take the scenic route, as opposed to walking down E. Main Street. It starts off at the end of Prindle Ave, crosses Hale Creek and comes out behind City hall on E. Green Street.